Blog > UX design >Beginner’s Guide on What is UX Design and Designer? What is UX design? What does a UX designer do? You can find answers in this article by following the most comprehensive guides to be a UX designer. What is UX design? This is a good question has gained a lot of attention and discussion. To help you, no matter the experienced designers or the new entrant in the design industry, I will provide you with a sort of extended information as comprehensive as possible. All answers should be around the topic of what is UX design and how to become a UX designer. UX Design refers to user experience Design. Wikipedia defines user experience design (UX, UXD, UED or XD) as the process of enhancing user satisfaction with a product by improving the usability, accessibility, and pleasure provided in the interaction with the product. User experience design encompasses traditional human–computerinteraction (HCI) design, and extends it by addressing all aspects of a product or service as perceived by users. So what is UX design and why does it exist? User experience design goes far beyond the usability and interaction design of a product or service. It’s a process that includes aspects of branding, design, usability, and function. A positive UX design with a branded product or service can result in a loyal customer. The booming and promising future of UX design has stimulated the need for a new job position, UX designer. But what is a UX designer and what does a UX designer do on a day to day basis? If you are thinking about making a career in this field, what are you expected to do? Given the definition by Wikipedia above, we can determine that the role of a UX designer is directly involved in the process of making a product useful, usable, and enjoyable to the user. But in the real working environment, what does a UX designer do on a daily basis? Your workday will differ depending upon the size of the company you are working for but there are some general functions a UX designer can be expected to perform. Product research includes user research and market research. How does one conduct product research? Four strategies for data collection include personal interviews with users and stakeholders, competitive analysis, online surveys, and focus groups. These strategies should provide valuable data from which a UX designer can make decisions. With the data collected, UX designers can identify and create representative personas. Once the personas are determined, it’s time to work out the information architecture and site map for users. It’s an important step to think through the steps that a user might take while interacting with the product or the website. Wireframing and prototyping represent different deliverables- they look different and communicate different information. The wireframe is similar to a building plan, while the prototype is a middle to high fidelity representation of the final product. To learn more about these, please refer to this article about the Basic UI/UX Design Concept Difference Between Wireframe, Prototype, and Mockup（Updated）. Testing is an evitable step for UX designers to find out what problems users will experience while interacting with the product. This step should include user testing and product testing. User testing is to study users’ behavior and help UX designers create a better user experience. Product testing helps in the development of a better iteration of a product, app, website, or service, and results in good user experience. After wireframing/prototyping and testing, the next step is to visualize the design. Normally, this involves selecting colors, fonts, and typography. Technically, these decisions are handled by UI designers. You can learn more about why UX is Not UI. How Much is UX Designer’s Salary? There is no standard answer on this question as UX designers’ salaries vary based on experience and company. According to Glassdoor’s UX designer salary data, UX designer salary averages $80,928 per year for entry-level jobs (0-1 years of experience), $104,580 per year for mid-level (7-9 years of experience), and $113,368 per year for senior positions (15+ years of experience). Becoming a UX designer takes work hard, patience, and a desire to keep learning. If you want to become a UX designer, here are the best steps for you to follow. The Design of Everyday Things: A book from Don Norman. It shows that good, usable design is possible. The rules are simple: make things visible, exploit natural relationships that couple function and control, and make intelligent use of constraints. The goal: guide the user effortlessly to the right action, with the right control at the right time. The Design of Everyday Things is a powerful primer on how and why some products satisfy customers while others only frustrate them. Don’t Make Me Think: A book by Steve Krug. It has helped guide hundreds of thousands of web designers and developers in understanding the principles of intuitive navigation and information design. Witty, commonsensical, and eminently practical, it’s one of the best-loved and most recommended books on the subject. For more of my recommendations, I have made a list of the Best UI/UX Design Books for designers. I update it regularly so you can keep up with the latest UX design books. Reading books help you to grasp the principles of UX design, but as a new entrant, reading alone will not help you gain high-level skill in UX design. With the help of the internet and its many resources, it is not hard to find a UX design course online. A UX design course will prep you on the most important UX design concepts, tools, and resources. It will teach you how to use a tool, as well as what you should do and don’t do in UX design. For beginners, the 30 Best Online Course Websites to Learn UI/UX Design is a good place to start. Ideally, you will want to find someone who has strong knowledge and work experience in UX design. If you do not know anyone who meets these qualifications, you may be able to network with professionals who frequent one of the Top UI/UX Design Communities online. Guidance and suggestions from an advanced UX designer will help you to build confidence and grow as a professional. Online UX design courses and UX mentors are great resources but practice is necessary. UX design tutorials are effective for most self-learners to master a UX design tool or develop their design skill. UX design blogs and YouTube videos are recommended. Lynda.com: This website provides a comprehensive collection of short videos, articles, and checklists covering the basics needed in the user design. 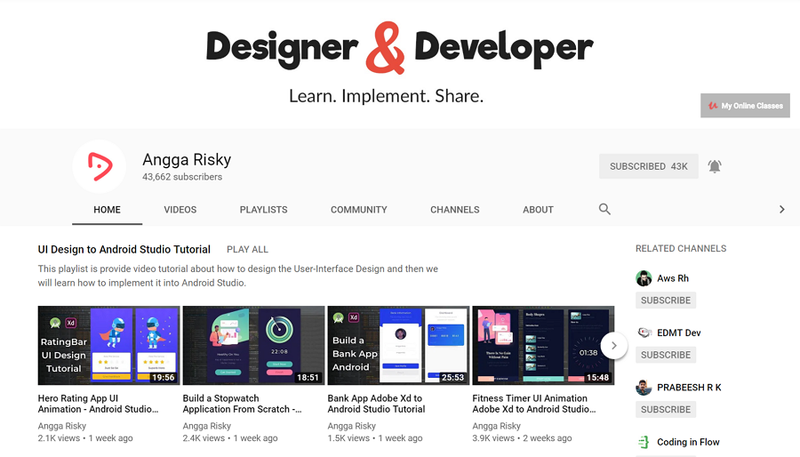 Designer & Developer: a YouTube channel for beginners to learn and implement UX design step-by-step tutorials. You will learn how to use design tools/software quickly. There are many more options out there. For more, here is a list of 6 Amazing UI/UX Design Tutorials. If you have searched for a UX design job online, you will likely have noticed that one required skill of a UX designer mastery of at least one the following UX design software packages. Adobe XD: According to Wikipedia, Adobe XD is a vector-based tool for designing and prototyping user experience for web and mobile apps. The software is available for macOS and Windows. XD supports vector design and website wireframing, as well as creating simple interactive click-through prototypes. 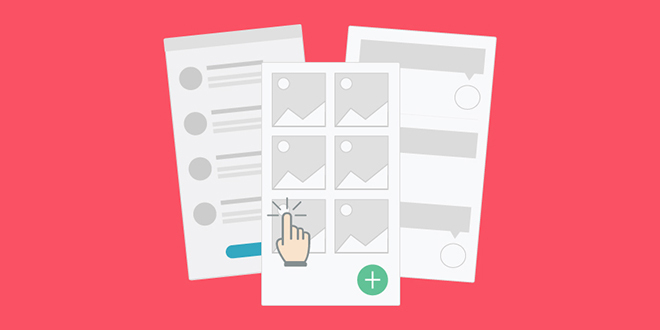 Mockplus: A rapid prototyping tool for web and mobile apps used by UX designers. With a rich library of built-in components and icons, as well as drag-and-drop interactive prototyping design capabilities. The low-learning curve allows beginners and expert designers to create wireframes and prototypes easily and effortlessly. Want to learn about other software tools. Read this recommended list of 13 Must-Have UX Tools for Designers. Great examples are the best motivation and encouragement for beginners and advanced designers alike. The UX designer portfolio is a great resource to learn from, as well as to get inspiration. What is UX design? It is not a question that is easily answered. The tutorial above provided a UX design definition, outlined the basic job skills of a UX designer, provided UX design courses and tutorials, as well as some handy to become a UX designer. But the best and most important advice is to never stop learning. Good luck to you!